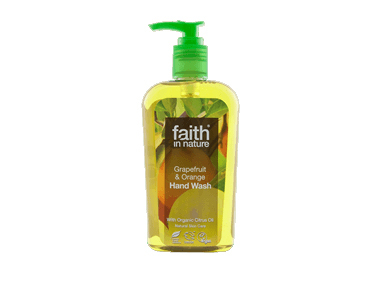 Buy Faith in Nature Grapefruit & Orange Hand Wash 300ml in the UK from our online shop or directly from our independent Scottish store. Grapefruit and Orange are both known for their cleansing qualities. Where can you buy real Grapefruit & Orange Hand Wash safely online? If you are wondering where you can buy Faith in Nature Grapefruit & Orange Hand Wash 300ml safely online in the UK, then shop with us. Grapefruit & Orange Hand Wash - Faith in Nature Grapefruit & Orange Hand Wash 300ml in Liquid Hand Wash and Hand Soaps.